Your brand is your reputation. It is what differentiates you from other staffing firms and what makes you known among clients and candidates. The stronger it is, the more recognizable your company becomes and the more business you win. To use simple examples, what brands come to your mind when you want to purchase a car? Which stores are you going to visit to buy clothing? What makes you think of specific vendors and choose them over others? The quality of delivered services, the positive experience you had before and the matching of your needs are some of the reasons for your decision. This is why it is important to brand your staffing firm; it drives people to work with you over others. Here are some ideas on how to do it. The biggest marketing budget and the fanciest advertising will have zero effect on your branding efforts if they don’t align with what your organization stands for. Even if you manage to get through to your audience, presenting an unreal picture of your company is going to have opposite results than the ones you anticipate. To avoid spending time and resources for nothing, you need to identify your strengths and use them as the foundation to brand your staffing firm. Be sure not to leave your staff out of this concept, but rather sit down with them and ask for their input. After all, they interact with clients and candidates and they know firsthand what it takes to become better. A great way to brand your staffing firm is to take your success stories and capitalize on them. This is the best proof that people can rely on you for their needs and that you are not going to let them down. Ask current clients to share a testimonial on your website that talks about the experience they have working with you. Encourage candidates to write a review about your recruiters and how the latter met their expectations. Use your social media platforms to let your audience know about your achievements and keep sharing examples that forge your brand. Remember that when it comes to winning an argument, you need to present the facts. When you brand your staffing firm, your sales and recruiting teams must act as your A-Team. They are your onsite task force that you need to recruit to promote your brand. Keeping them out of your efforts is a huge mistake as they are the ones who come in touch with both current and potential clients and candidates. 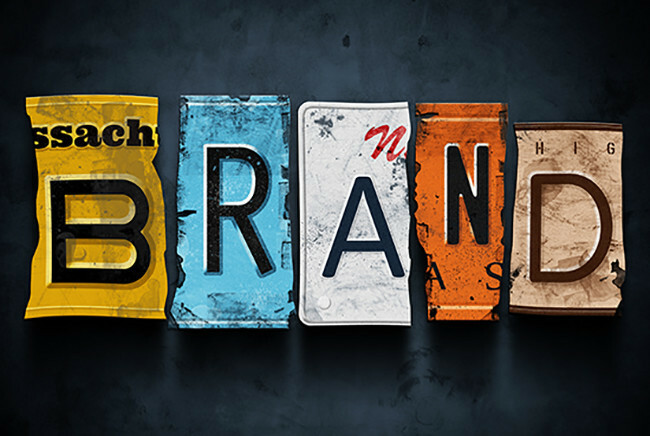 Are you confident that they convey your brand message the way you expect them to? Do you meet with them regularly to ensure that they are on the same page with your overall plan? It is crucial that your brand is perceived by your audience in a consistent way, so make sure your team has an active role in doing so. There is always room for more. This is the mentality you and your team must have when you brand your staffing firm. Doing business with current clients doesn’t mean that you can’t explore the possibility of working on more projects with them. Ask them if they have more needs that you can help them address, or if they can refer you to others that are in need of your services. Be sure not to overpromise because you will end up under-delivering, something that is going to have detrimental effects on your branding efforts. Talk in depth with your clients about their requests and discuss with your team about how you plan to meet expectations. Strong brands have a deep understanding of the space they operate in; they keep a close eye on trends that shape the industry and consequently the way they do business. Keep this mind as you brand your staffing firm and try to stay on top of change in order to better serve clients and applicants. The latter prefer to work with firms that know their space and offer great customer support. Conduct market research on a regular basis to monitor industry developments and ensure that your team is always up-to-speed. Show to your audience that your brand is their best choice and that you are always ahead of your competition.